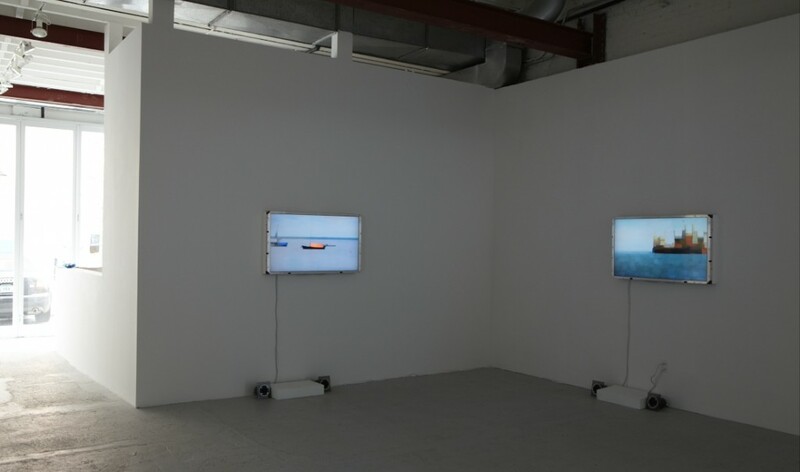 In the early 1970s, Peter Campus created pioneering closed-circuit video works that progressively incorporated the viewer and utilized the technological medium in a manner that would soon be adopted by now-famous video artists such as Bruce Nauman. Despite notable institutional recognition, Campus’ legacy has remained largely uncharted on the broad map of postwar and contemporary art. While his works can be found in the collections of prestigious institutions such as the Museum of Modern Art, New York and the Centre Pompidou, Paris, Campus is an artist whose commercial presence is not in line with his importance, and whose name does not hold much weight when mentioned to today’s general art-appreciating public. Calling for Shantih, the inaugural exhibition at Cristin Tierney, a new gallery and project space in Chelsea that strives to think outside of the white cube, aims to change the inadequate trajectory of Campus’ reputation. In their presentation of seven new video works by the master, owner Cristin Tierney and director Heather Dell hope to call deserved attention to Campus’ oeuvre in general, and to make this “artist’s artist” known to a larger audience. Regardless of one’s previous knowledge of Campus, it is not difficult to appreciate the works that Ms. Tierney and Ms. Dell have put forth to revive Campus’ reputation in the more general sphere. The new works on view here exude an aesthetic spirituality and conceptual elegance whose impact is immediately palpable, but whose full effect only comes to those conscientious viewers with the wisdom to proceed with patience. 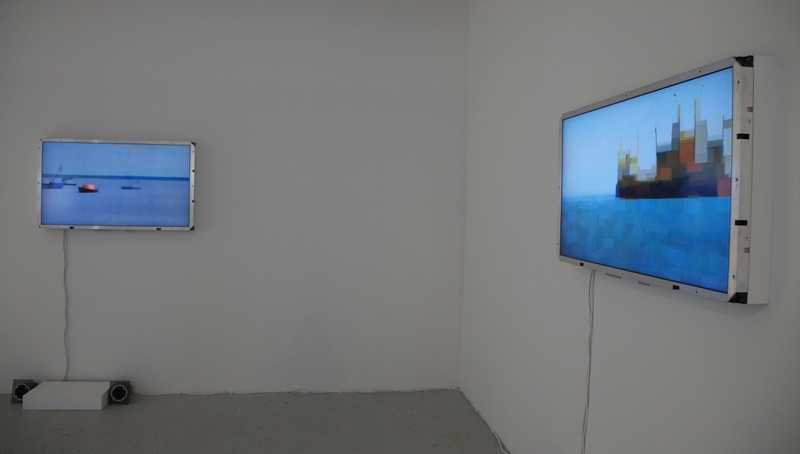 Upon entering the lofty gallery space, one is surrounded by seven 46-inch flat-screen panels, each depicting a luminescent landscape or seascape executed in what appears to be a wash of vibrant pseudo-Impressionist hues. Ambient noises fill the air in the room, and after a time spent focusing on one particular work, the viewer soon realizes that theseemingly stationery scenes are not static at all; on the contrary, subtle shifts in color and form appear throughout each vista, and an organic ebb-and-flow rolls through the mesmerizing images. For Campus, the technology has always informed the artwork, has always come before it; this practice is no less true here. 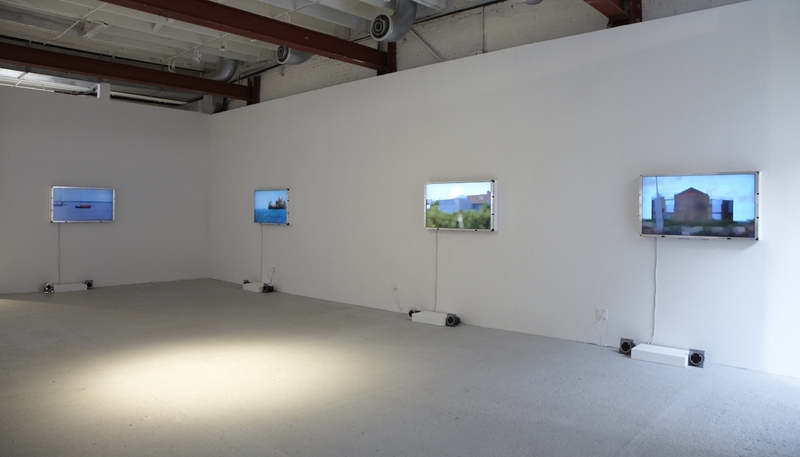 For these works, the artist used a hand-held camera to gather footage of particular places near his home on the South shore of Long Island (each work is named after its location), and then slowed the running time down to 6.25% of the original pace. The result: looped, whispering videos that undulate with life, veritable “tableaux vivants” rendered in blocks of shifting color that capture the quiet profundity of a discrete moment in nature, intimately seen through the artist’s eyes. Importantly, this technological explanation only partially clarifies the art’s creative mechanism. A secret “proprietary algorithm” is also at work here, a special mathematical formula that is applied to the footage, and which the artist will not disclose; the magician must keep his secrets. Do not let their quiet elegance fool you; these works rest firmly upon a complex system of art historical allusions and existential questions. The deliberate pixilation achieved by the slowing-down of the footage reflects Campus’ stated interest in the painterly experiments of 19th century artists such as Corot and Cézanne: light, color, form are questioned, manipulated, and human visual comprehension is engaged and explored. This Impressionist sentiment is emphasized by the contents of the scenes themselves: boats in a harbor, barns in a field, the architecture of industry found within the sacred structure of nature itself, a subject at the core of Impressionism, which often treated the intersection of nature and encroaching civilization. However, while Impressionism arguably sought to reveal the artificiality at the heart of the painted image, Campus’ foray into similar aesthetic questions plays with such notions in a different way. Indeed, while the technology behind these works’ creation is literally and deliberately on view (cables flow down from each panel to the DVD-players below; Campus prefers that the technology be seen), a certain mystery is still maintained by the artist’s decision not to make his practice fully public. In this way, Campus teases the viewer, making him aware of the works’ illusion, but not fully disclosing how that illusion is achieved. As such, a refreshing sense of child-like wonder is alighted in the viewer, a magical effect that mirrors the hushed spirituality of the works in general. If these videos cleverly touch upon Impressionist painterly notions, both promoting and subverting them, these works simultaneously present a view of the less traditional “new” video medium in a similar manner. Emerging at the turn of the last century, film offered the unique power to document time, that most significant and elusive of existential forces. These works emphasize that particular power of the medium, prompting the viewer to “see” time, and to proactively experience it in a poetic, aesthetic way. Using modern technology, then, Campus has managed to return to the roots of the moving image; in order to move forward, he has gone back. With their sloth-like pace, these works search for the fleeting beauty of a moment, and are the stronger for their minimal approach to spectacle and narrative, two qualities that we have come to expect from film and video. At a moment when the quick-fire gloss of the digital age has arguably desensitized our collective ability to experience the present, and dulled our concentration to blunt distraction, these works come as a refreshing change-of-page. In this way, Calling for Shantih encourages the viewer to find a place of meditative contentment; indeed, “shantih” is the Sanskrit word for “peace,” and this title can thus be taken as mantra for the modern condition. This holiday season, when we are strapped down by excessive consumption, and New Year’s expectations loom anxiously, the lovely simplicity of this message is humanely, universally pertinent. Cristin Tierney hopes that this show will revive the public’s interest in the career of an artist whose profound contribution to contemporary art remains largely unrecognized by the general population; the new gallery’s approach to this task can be characterized by a purity similar to that found in Campus’ works on view. As Ms. Dell says, the new space, which features a salon-type back room where artists, critics, friends, and colleagues are welcome to mingle and discuss, will promote “careers, not canvases,” and will present work by mid-career artists who are relevant on the contemporary scene and deserving of the attention often allotted to less established or talented individuals. When I asked her about the decision to open a new Chelsea gallery now, when the commercial market has been palpably affected by economic woes, Ms. Dell countered with an inspired statement: “The artists need support and patronage now more than ever. While opening a gallery is certainly a risk, it would be a bigger risk not to recognize and promote them.” Already, their risk has proven succcesful; the New York Times’ Ken Johnson covered the show on December 10. If Calling for Shantih is any indication of what is to come from Cristin Tierney, the public as well as the artists will benefit from this new gallery’s valiant efforts. Calling for Shantih is open through December 18 at Cristin Tierney, 546 West 29th Street between 10th and 11th Avenues, Tuesday through Saturday, 10 am until 6 pm.